I have to admit that since I’m a person who was quite fond of reading fantasy novels in my prime book-reading years, I held a soft spot for the sneaky characters that always existed within the stories. The ones who could sneakily enter into a room and easily escape without being noticed and a bit richer for it. The grace and daring at which these things were achieved left me envious for the same kind of abilities. I would sneak around the house pretending to skirt around the house without anyone knowing or noticing. My love for these social misfits has even crossed over into the MMORPGs I’ve played. In Final Fantasy XI, I was a career thief and loved every part of playing that class. 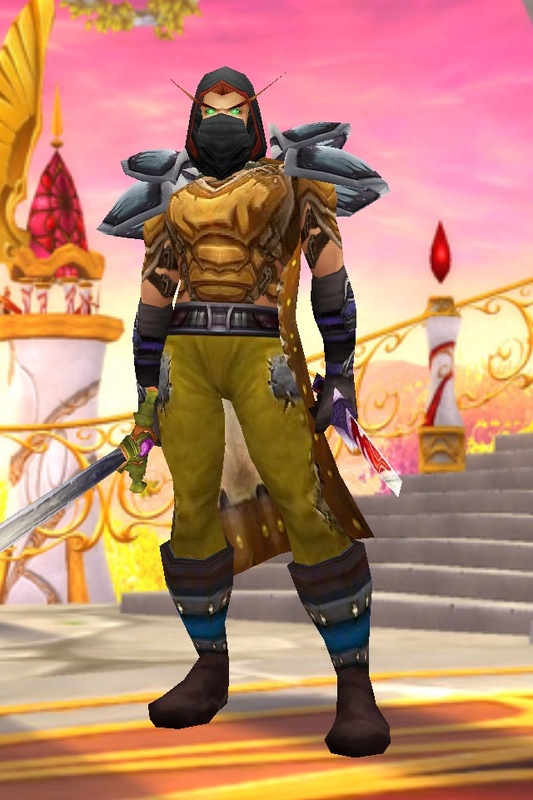 Both times I’ve played World of Warcraft (and I’ll probably pick it up again), I was a Rogue main and loved the stealthiness of the jobs. Being able to move quickly and sneak up on things, unleashing big damage while completing certain requirements and having advantages when it came to making money and acquiring items came in real handy when I needed it. Plus I just loved how my characters looked in the lightweight leather gear, quite hot and form-fitting. I hated how heavier damage jobs had to wear clunky gear…like being in a sardine can. I’ll take my evasiveness over that any day. Even in it’s current state, I’d probably still be playing Final Fantasy XIV if they were to add a thief-type job to job list. None of the current jobs really speak to me. Tried playing a pugilist for a while but could never really get into the feel. Now I told you all that to tell you this. Even though I love the concept of thievery in a fantasy world far, far away from my current life…the idea of it in the real world just appalls me quite frankly. Now, I’m not talking about the steal-a-piece-of-bread-to-feed-your-family, Jean Valjean kind of way. I’m talking in it’s very simplest, shoplifting. I’ve been in the retail clothing world for almost 9 years now and it still amazes me the things some lifters will do to attempt to take something as temporary and materialistic as clothing. Or better yet, to take something that materialistic and then use it against us at another location against our return policies in order to get cash. It takes a skewed view of life and a distorted view of what’s right and wrong to actually take these items and stuff them into places unknown. 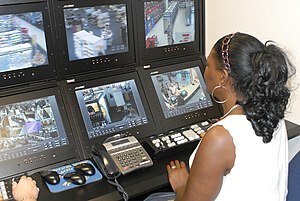 Despite video cameras, the constant threat of a loss prevention agent around the corner, or even the presence of fellow shoppers and employees of these stores are not enough to deter these people from what they believe is an entitlement or worthy venture. It is crazy how they are able to look our employees in the face and pretend that they haven’t done anything wrong while making a stalwart walk through the doors with buzzers blaring. I thought I had seen it all until a few nights ago when we received a call from an individual pretending to be our Regional Manager, calling to tell our closing manager to allow a “past customer” in a “inter-state transition” to return 20 pair of jeans without a receipt, bypass our current return policies and give a full cash refund (which would amount to probably well over $500). The caller didn’t even know the current time the store closes (we close at 9, and the caller said the customer would be in at 9:30, yeah). So a quick call to our store manager, our district manager and our regional loss prevention guy uncovered everything we needed to know. We ended up not seeing the person and having to deal with that situation, but it still baffles me the audacity of the things folks will try to do in the realm of thievery. It hurts my soul just a little bit everytime I’m ringing up hard-working and honest customers’ purchases and I see folks trying to make it out of the store with items stuffed anywhere from purses, bags, to sweatpants. I’d be embarrassed. I know that they are quite the minority, and I would like to thank each and every person out there who makes their purchases everyday the honest way. Thank you for helping me maintain a job.